A cataract is a clouding of the eye’s lens that negatively affects the clarity of vision. 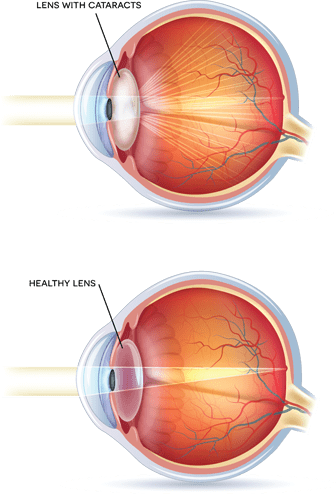 Cataracts generally occur in both eyes, but not always evenly. As the tissues in the lens break down and clump together, the lens becomes cloudy or opaque and vision becomes blurry.